Google has entered the chat game like many of its competitors have done and developed the chat-application Google Talk. 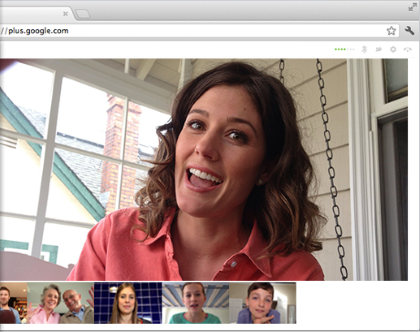 Google Hangouts (former Google Talk) is Google's own social and communications platform. It's possible to call, write, and create group and conference calls directly in your Google Chrome browser. 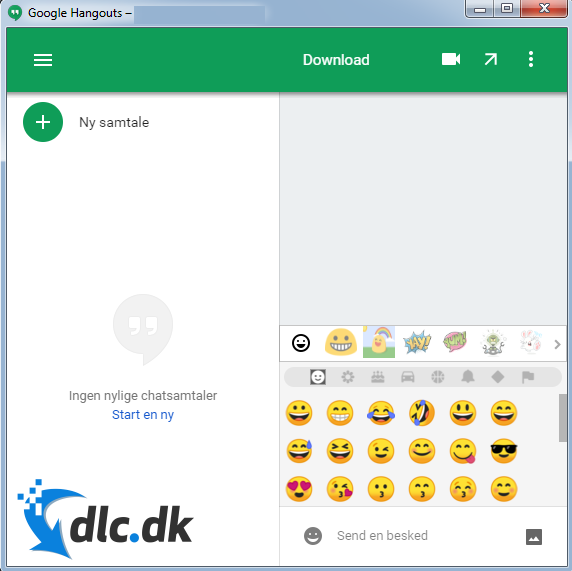 It is also possible to download Google Hangouts as an application as an extension to one's browser, which can be downloaded for free from here. There is also an Android and iOS version. Google Hangouts employs a well-known Google design, where you find features exactly where you expect them. In addition, the program also has the high quality that Google occasionally delivers. 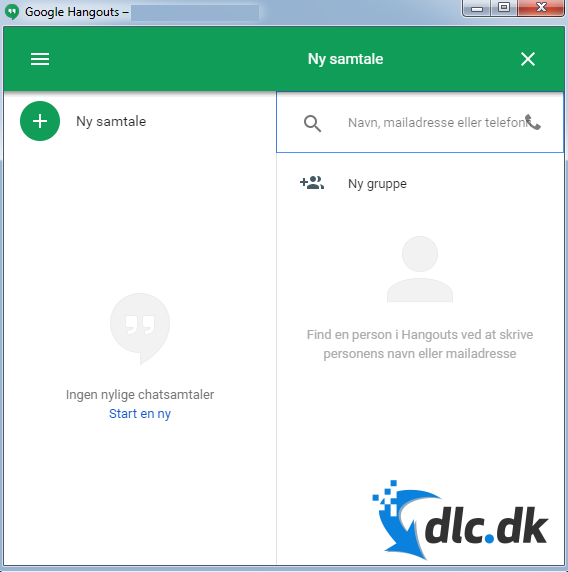 Below we will dive a little deeper into the individual features, as well as the various options with Google Hangouts. Google Hangouts basically looks the same as similar communication tools. It is possible to make video calls, phone calls and send messages. Let's start with video calling. Just by touching video calls, you navigate to a new window where Google suggests contacts. If you want to call someone, it's easiest if you already have them on your friends list. If you do not have it, the program will ask for an email address at the desired contact. The video call window also looks forward-looking and reminds of similar programs. The various buttons are well-positioned, and you can quickly turn off the microphone, put on, or turn off your camera - if you wish. If you want to create a chat conversation, then this is also fairly simple. If you want to invite individuals, this also requires an invitation email or a phone number. It is also possible to create and name a group discussion. After creating the chat conversation, you will be navigated in a new window, which is incredibly useful, as you get a broader and easier overview of the conversation. Just like in video calls, the chat window is superbly designed. The messages are quickly shipped and received. In addition, it is possible to send various emojis and files - for example. in the form of pictures. As mentioned, it is also possible to make phone calls through Google Hangouts. Obviously, this requires a phone number, which you can call. It's also not free, but you can add money to one's account and use them to call. Likewise, it is possible to navigate in the different countries and their country codes are in line with their national flag. Another sign of further ease of use, as you do not have to break up the individual countries. What are the Benefits of using Google Hangouts? Firstly, the program is completely free to use - unless you have to make phone calls to phone numbers. Additionally, it has an incredibly simple yet nice design that makes it possible for practically everyone to use it. Secondly, as Google said, Google Hangouts was developed by Google. Like the remaining Google products, Google Hangouts has outstanding quality, and we are totally impressed with the many opportunities. All that Google requires is to have a Google email account. Which most people already have. It should also be said that if you often need to make video calls, phone calls or communicate with colleagues through messages, Google Hangouts is incredibly obvious. One can for example Get rid of sitting with your phone in one hand, just take your headset on the front of the computer and start communicating. If you have a family that is far away, then the video call is also obvious, as it gives image quality blades - it depends, however, on one's internet connection. You can be up to 10 people in a video call and it is completely independent of your device. That is, one's colleague can call from the laptop and you can take the call on one's smartphone. Cross-platform accessibility is incredibly impressive. 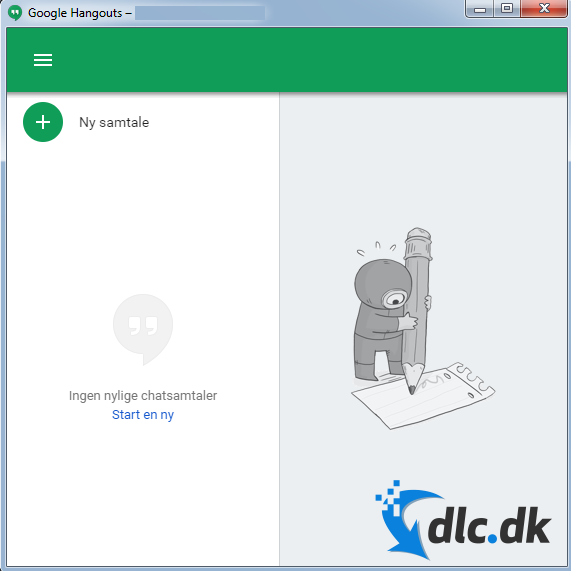 Google Hangouts is previously known as Google Talk, and is really just a further development, as well as improved in quality, and adapted to the modern standard of communication applications. Knowing this also gives some confidence in the future as this is not a new market for Google, and they now have a few years of experience. It also results in how Google has been trying to keep the program up to date and keep up with the latest trends. This makes your stomach calm, as you can start using Google Hangouts, and still be sure that you have a current piece of software on your computer or smartphone for several years. The mandatory section is about the developer, and in this case we have an experienced development to do. Google is one of the largest IT giants on the market, and has developed programs and services for a very many years to make our everyday lives a bit easier. As a rule, these services are quite free to use and immediately require you to have a Gmail account, which ultimately also results in easier synchronization options. It is always nice to know that software is used, which is developed by some experience, as you often end up with the best software within the category. Through the review, we have mentioned that Google has gradually developed some outstanding products, and it is therefore just fair to mention some of our favorite, especially if you do not already know them. Google Drive is a free option for the Microsoft Office Package. In Google Drive, one can find the most necessary text programs like: spreadsheets, text documents, and presentations. Google Drive does not even have to be downloaded, as you can use this service freely through one's browser. It is also possible to invite others to one's text document so that you can sit and change, correct and add at the same time. Google Chrome is the most popular internet browser ever, and for good reasons. In addition to being free, this browser is fast-paced for virtually all tasks. There are also essential security features preinstalled so you have a minimal risk of downloading threatening files to one's computer as Google Chrome will automatically try to block them. Google Hangouts is an excellent piece of communication tool. All the necessary features are there, and most of them are improvements to similar programs. In addition, Google Hangouts does not require a particularly powerful computer as it runs quite painless through one's Internet browser. The ability to create contact lists is also optimal, as you always have similar contacts, whether you open Google Hangouts on your computer or on your smartphone. In addition, the program itself provides the necessary information and hardware in the form of headsets, webcams, etc. So even if you are not technologically sharp, it takes a few minutes to set up Google Hangouts. 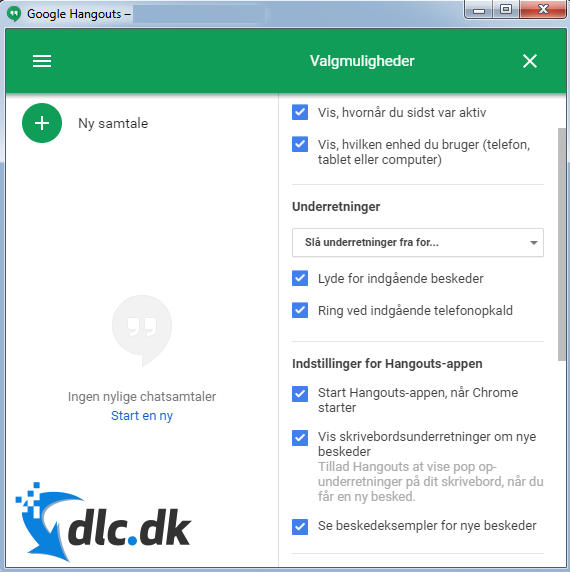 Find Google Talk, mark it and choose "Uninstall"
Should Google Talk has been damaged or corrupted and thereby difficult to remove we can recommend you finding help to uninstall it here.